Southfield isn’t just a suburb of Detroit; it’s a bustling community unto itself. Whether you’re a nature lover, a connoisseur of fine foods and drinks, or an arts enthusiast, you’ll be engaged and entertained at home in Southfield. Spend an afternoon exploring the trails and scenery at Valley Woods Nature Preserve, or take your clubs to nearby Plum Hollow Country Club for a game of golf with your favorite foursome. Afterward, settle in for tasty southern BBQ at Nikola’s Restaurant. Then check out The Maple Theater for an upscale cinema experience, featuring indie and vintage films as well as a café and bar. In addition to the long list of recreation in Southfield, we’re also home to a number of reputable local employers and fine neighborhood schools. Commuters love our proximity to Blue Cross Blue Shield as well as Federal-Mogul, and students can easily travel to Southfield High School and Lawrence Technological University. Plus, with easy access to M-10 and I-696, you can explore downtown Detroit and the greater metropolitan area at the drop of a hat. 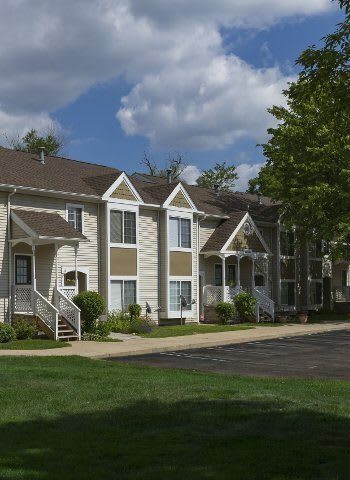 Visit our vibrant Southfield community today. Schedule your VIP tour with the friendly office staff at Monticello Apartments.